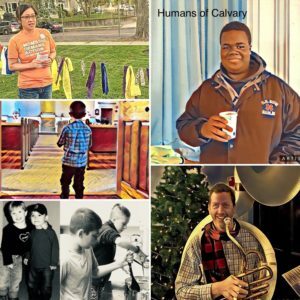 The Missions and Social Concerns Team identifies ways to put Calvary’s priorities of Housing the Homeless and Serving in Active Mission into action. Whether it’s hands-on work or fundraising, community organizing, or raising awareness, the Missions Team looks for ways in which Calvary Church can make a difference in our church, in our community, and in our world. The United Methodist Church has a long history of concern for social justice. Its members have often taken forthright positions on controversial issues involving Christian principles. 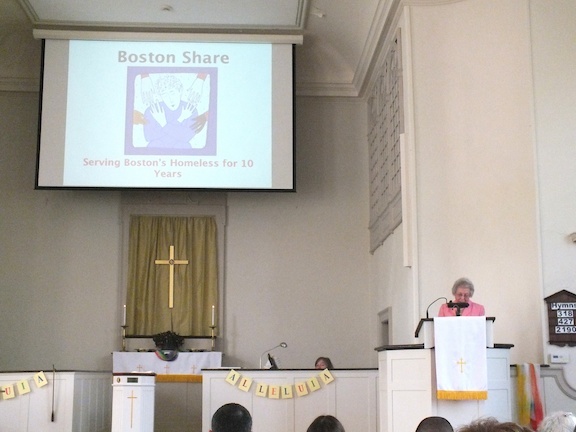 Early Methodists expressed their opposition to the slave trade, to smuggling, and to the cruel treatment of prisoners. Today, Calvary is involved in discussing, reflecting and working to discern God’s will on issues such as domestic violence, affordable housing, rights of LGBTQ people, and the needs of our elderly citizens. For the last few years, we have sent adult groups on trips to help rebuild in New Orleans, and we have sponsored youth mission trips to India (2015) and the Philippines (2014). We also support the Calvary Youth Group’s annual summer mission trips. Read more about the 2015 trip to India on the New England Conference web page and in Bishop Sudarshana Devadhar’s newsletter. Arlington EATS – This group provides food on weekends and during the summer to Arlington students who are on the free and reduced-price lunch program. Housing Corporation of Arlington – The HCA is a non-profit community organization working to help low and moderate income families and individuals find housing options in Arlington. Calvary Church supports the HCA by community organizing, fundraising, volunteer work days, and raising awareness of the need for affordable housing in our community. 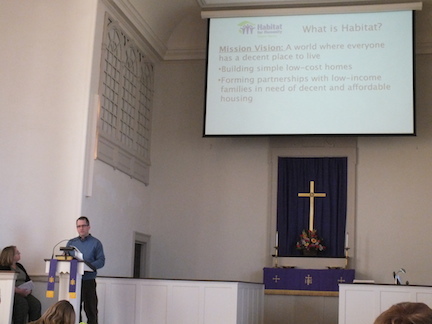 Habitat for Humanity – Calvary Church is a Covenant Church with the Greater Lowell Chapter of Habitat for Humanity and we support their work through prayer, fundraising, and volunteer labor in an effort to build decent, affordable housing for God’s people in need. Calvary has regular work dates on the site of the latest chapter project. Dates are announced in the monthly newsletter and in Sunday announcements, and people ages 16 and up are invited to sign up on the volunteer board. Animal Umbrella – Animal Umbrella is a no-kill cat shelter. We host cat adoption events and yard sales for AU. Somerville Homeless Coalition – We do occasional collections of necessities for people being helped by the SHC, and every year Calvary sends a large team to participate in the SHC 5K race in October.